Innovative & collaborative Council, supportive team, wellbeing programs & much more! Are you a diligent and organised professional with great communication skills? Do you thrive in an environment of multiple tasks, tight deadlines and regular interaction with internal staff, external stakeholders and customers? If you are passionate about providing professional, accurate and competent planning advice then we have a fantastic opportunity for you in a large, diverse, output-driven business unit of Council until the end of 2020. As part of our Statutory Planning Department, you will be encouraged to achieve your best and thrive in a collaborative and innovative environment. As a Senior Statutory Planner, you’ll be responsible for assessing planning applications of a higher order and effectively resolve issues and problems that arise from planning applications. Additionally, you will provide professional advice on planning applications, planning scheme requirements, Council polices and relevant acts and regulations whilst contributing to the continuous improvement of the unit. This is a great opportunity for someone who is seeking to further advance their career and skills in mediation, communication and time management. To be successful in this role you will be a self-starter who thrives in a busy environment and has the ability to positively contribute in a motivated team environment. You will have strong communication and problem solving skills, a cooperative attitude and excellent time management. Additionally, you will have highly developed computer skills with the ability to research and analyse a broad range of issues. Substantial experience in Planning, a tertiary qualification in Town Planning or related field and detailed knowledge of the Planning and Environment Act are essential. 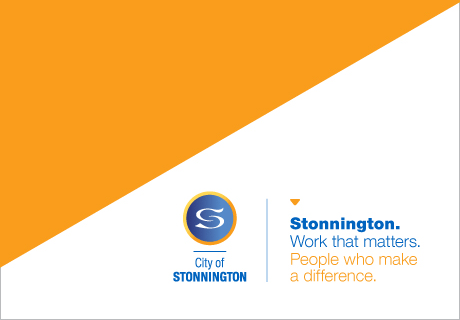 As an employee of the City of Stonnington, you will diversify your experience in a leading inner city Council and have access to some fantastic benefits. You will be able to participate in staff wellbeing programs, previously nominated as a finalist both in the VicHealth and WorkSafe awards, as well as receive annual leave loading, work for an organisation with a dedicated Green Team and be recognised and rewarded through Stonnington’s cultural development program. For position related queries, please contact Edward Wilkinson on Ph: 82901333.